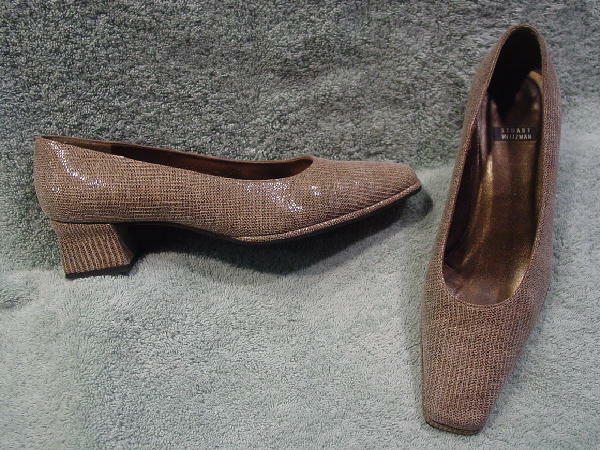 These elongated square toe pumps are by Stuart Weitzman and were made in Spain. The exterior is a shiny ultra suede fabric in bone and browns. The leather linings and insoles are in a bronze color. 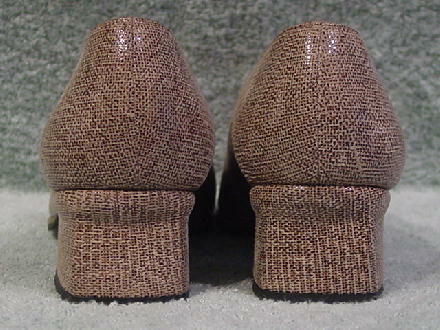 The interesting shaped heels are entirely covered. They have black nonskid rubber soles.